Maintaining is crucial for a car's longevity; however, the cost of regular checkups and common maintenance can easily add up. So how do you get affordable maintenance without paying more than you should? Doing routine maintenance on your own is a great way to reduce the costs of your car care. Of course, there are certain tasks that are better left to the professionals, but here are some that you can pretty easily handle at home. This only involves the purchase of a new air filter and about ten minutes of your time. The filter is located under the hood of your car and can easily be reached by opening the air filter panel, which is usually square or rectangular in shape. Next, remove the old filter, clean out the casing, and insert the new filter. Remember that your car should be turned off and cool when performing this task. Changing the oil filter will require a bit more time than your air filter did, but not too much. Again, your car should be turned off and cool at the time, as the oil can burn you otherwise. 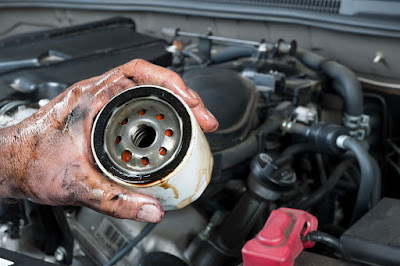 After locating the oil pan under your car, unscrew the drain plug to drain the oil (be sure to use a recycling container when doing this). Then, fill the new filter with new oil and replace the cap. Replacing your windshield wipers is another easy task that only requires about ten minutes. To remove an old wiper, pull it away from the windshield and press the small tab located under the wiper in order to slide it off. Next, align the new wiper, lower it onto the arm, and pull it tightly so that it is in the correct position. Last, place the wiper back onto the windshield and then repeat the process with the other wipers. Your battery is crucial since your vehicle doesn't operate without it. Thus, when your battery dies or is about to, you need to replace it immediately. This is a surprisingly simple task – and an affordable one, as well, since the battery itself is not very expensive. To change your battery, you'll first need to remove the cables and use a wire brush to clean around the box and remove any corrosion. After that, re-install the battery terminals, beginning with the positive first. You can easily contact us to purchase a battery or, if you are worried about managing this yourself, you can hand the job over to us. While the above tasks are fairly simple tasks, we understand that not everyone has the time or tools to perform them. At Autoland, we are your leading Springfield Toyota vehicle service provider, so give us a call to set up an appointment!